This was done in lieu of earning a slot to matriculate the old- fashioned way: by bribing schools with hefty financial incentives; the traditional and tax- deductible method that Jared Kushner’s father implemented by donating 2.5 million dollars to Harvard. Of course Jared did learn important lessons such as how to marry into a richer family. Or at least what he thought was a richer family. Lori Laughlin paid $500,000 to get her two wee bairn into USC pretending they were crew athletes. That’s 250k apiece. How cluelessly entitled were these girls? One daughter went on Instagram and posted a video “I want the experience of, like, game days, partying…I don’t really care about school, as you guys all know.” Not sure what her grades were, but sounds like she couldn’t spell GPA it if you spotted her the G and the P.
Copyright © 2019, Will Durst. 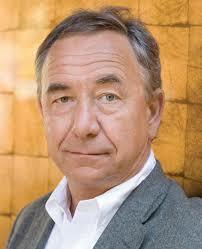 Will Durst is an award- winning, nationally acclaimed comedian, columnist, and former snowmobile race attendant in Hurley Wisconsin. For past columns, commentaries and a calendar of personal appearances, please visit willdurst.com.